Iron is one of the most abundant elements on earth and is found in rocks and minerals in a variety of forms including magnetite, hematite, geothite, limonite and siderite. It is key in the construction of machinery, tools, automobiles, ships, buildings, etc., due to its strength and low cost. Because pure iron is very soft, it is most commonly used in the production of steel. Metallic iron is extracted from iron ore and its properties can be modified by alloying it with carbon and various other metals to create steels. Unlike most commodities, the majority of iron ore trades under contracts in which major counterparties negotiate annual changes in prices. Vale (NYSE:VALE), the world’s largest iron ore miner, along with the other industry giants Rio Tinto (ASX:RIO,NYSE:RIO,LSE:RIO), BHP Billiton (ASX:BHP,NYSE:BHP,LSE:BLT) and Australia’s Fortescue Metals Group (ASX:FMG) currently dominate the seaborne iron ore market and often set the price for the entire industry when they negotiate large supply contracts. 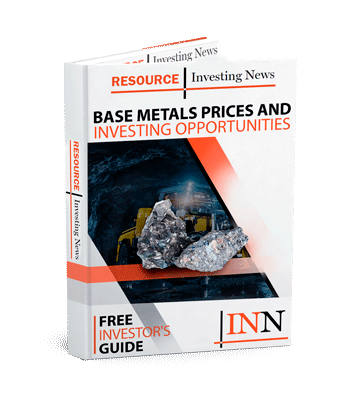 These four companies have been flooding the market and attempting to push higher-cost producers out as they all continue to ramp up production despite the detrimental affects it has had on the iron ore price. This oversupply pared with the lower-than-expected in demand from the Chinese steel industry has made things quite difficult for the industry to say the least and has put major downward pressure on the price. China, which is not only the top iron-producing country, but also the largest consumer of the metal, has had a difficult time as many of its mines operate at a higher cost than the spot price has been for some time now. Despite that, its production, which hit1,5000 million tonnes in 2014, is expected to remain strong in coming years. Because of the lackluster price, keeping operating costs down is the key for miners in the space which can be difficult considering the capital investment that goes into a commercial iron ore mine, such as infrastructure including a railway system and heavy machinery. While the iron ore market has been very weak for the past two year, dropping by over 50 percent, there is no doubt that there will always be a demand for steel as it is used heavily in infrastructure, transportation and manufacturing and is necessary for an economy to to remain productive and function. As the population grows, the demand for more steel will likely make a comeback and even out the current supply glut. Of course this equilibrium will also rely on what the big miners do moving forward. In spring of 2015, BHP decided to delay further expansion at Port Hedland, which gave the iron ore price a slight boost and not long after Vale reduced its iron ore production forecast by up to 30 million tonnes over the next two years. While neither caused any major change in the price, it signaled that these industry giants were at the very least attempting to alleviate the glut, while still remaining in a position to dominate the sector.